I really do enjoy cooking. Sometimes, it’s a therapeutic form of stress relief. Sometimes, I like to cook seasonal dishes — the first chill of autumn is exciting. Not only because it indicates that Texas summer has lost its death grip on us but also because I can get out my gumbo pot. Fractions in the Kitchen? Get out. 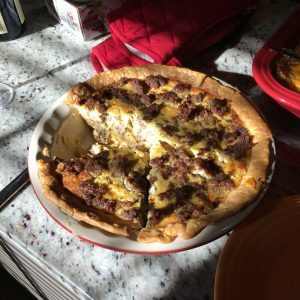 Recently, on a weekend morning I was making a breakfast pie (recipe here, because I’m not a mean cook). It’s one of my go-to recipes for an easy, delicious, homecooked breakfast meal. I’ve made this for years and gotten it down to a science. A dear family member gave me a beautiful deep-dish pie plate that I like to use. It bakes a mean blueberry pie. 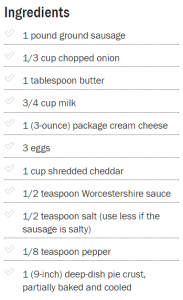 But I tried making a sausage pie in it once and the recipe didn’t make enough filling to fill the dish. 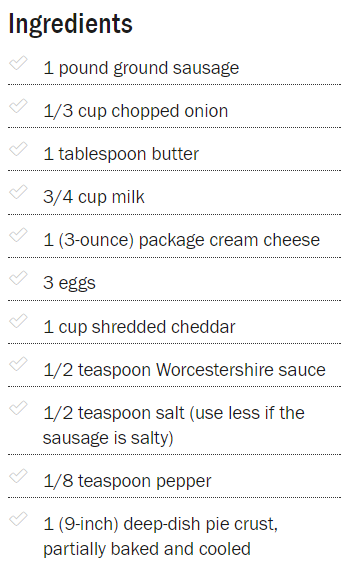 It was just over halfway full, so doubling the recipe wouldn’t work. Recipe calls for 3 eggs, so I couldn’t make 1-1/2 times the recipe, either. Eggs are funny that way – they tend to limit what you can do with a recipe proportionally. Talk about a domain restriction. With my brow furrowed, I got out the recipe (I’ve made this so long I don’t even look anymore) and studied the eggs, milk, and cream cheese mixture since that’s the heart of the filling contents. Couple of mumblings and some air math with fingers, and Eureka! The revised Texas Essential Knowledge and Skills for Math, Grade 4 includes a nifty way to think about fractions. (A) represent a fraction a/b as a sum of fractions 1/b, where a and b are whole numbers and b > 0, including when a > b. In the kitchen, 4.3A looks like this. 3/4 cup of milk is really 1/4 + 1/4 + 1/4. Or another way to think about it is that it’s 3, 1/4-cups of milk. Once I had that epiphany (yes, I can be smarter than a 4th grader at times) then I saw the magic combination — 3 eggs, 3 quarter-cups of milk, and 3 ounces of cream cheese. 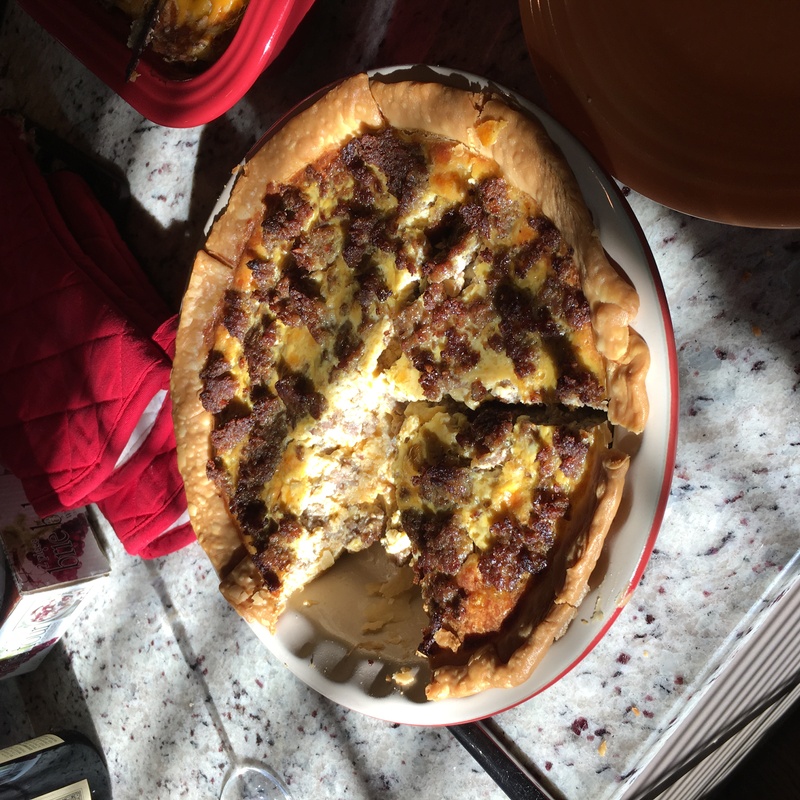 Employing my sharp sense of logical reasoning, I supposed that if I scaled this combination up to a multiple of 5 — 5 eggs, 5 quarter-cups of milk, and 5 ounces of cream cheese — that I would have enough filling to nicely fill the pie plate. Lo and behold, that’s just what happened. My point in sharing this story is this. Our revised math TEKS certainly aren’t perfect. But the way that the elementary grades develop fractions is truly revolutionary. Until I studied the idea of a fraction as “a” parts of “1/b,” I never really understood how the numerator (the number of parts) and denominator (the size, or denomination, of each part) related to each other. Throw in a math process or two and I solved a vexing problem without using any sort of standard algorithm. I was able to recognize a pattern and then scale it up mentally. And speaking of process…the pie was, indeed, delicious.